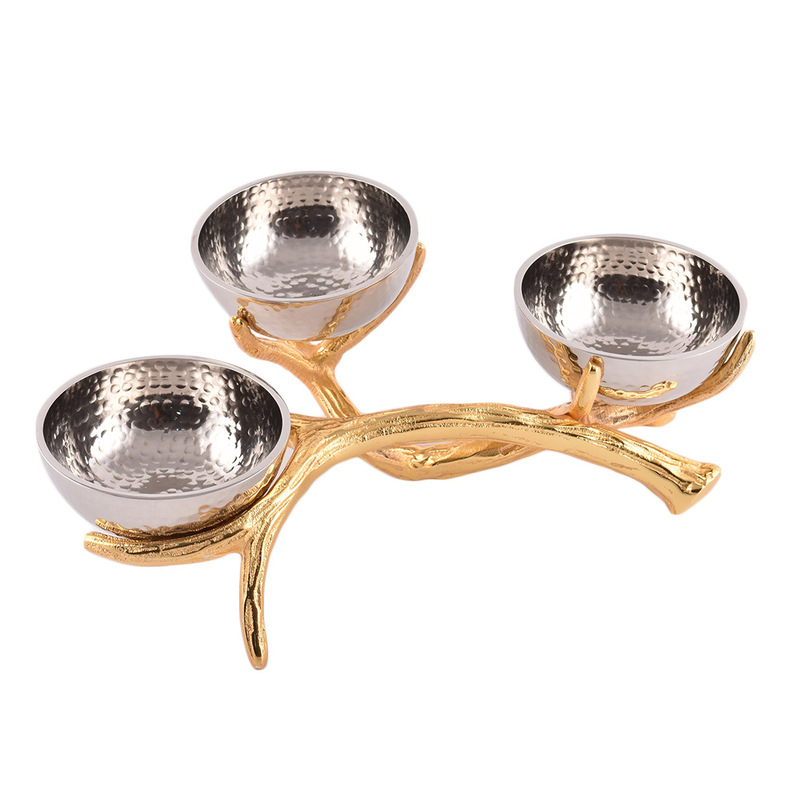 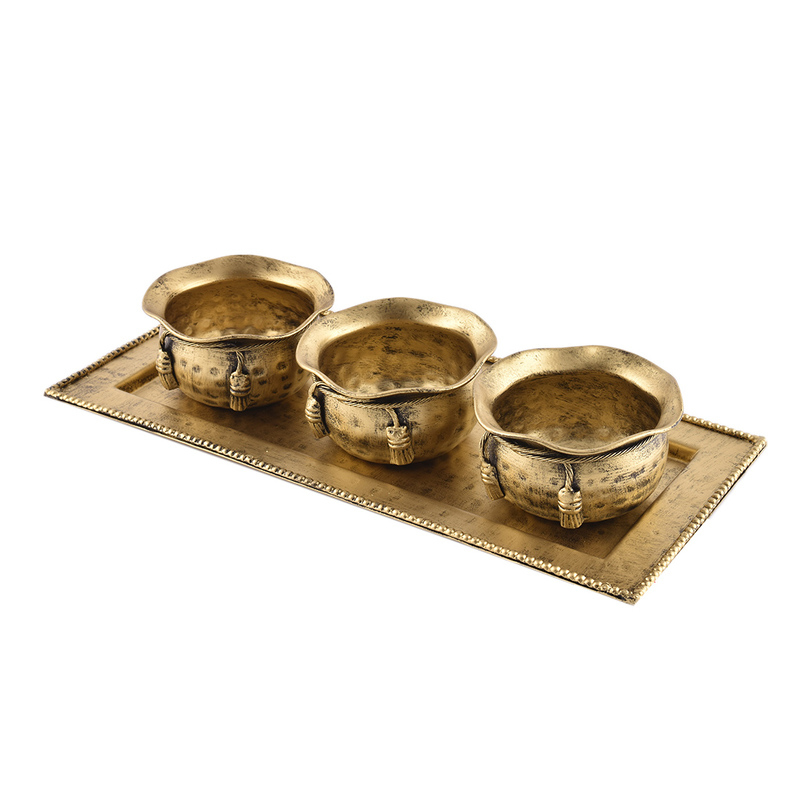 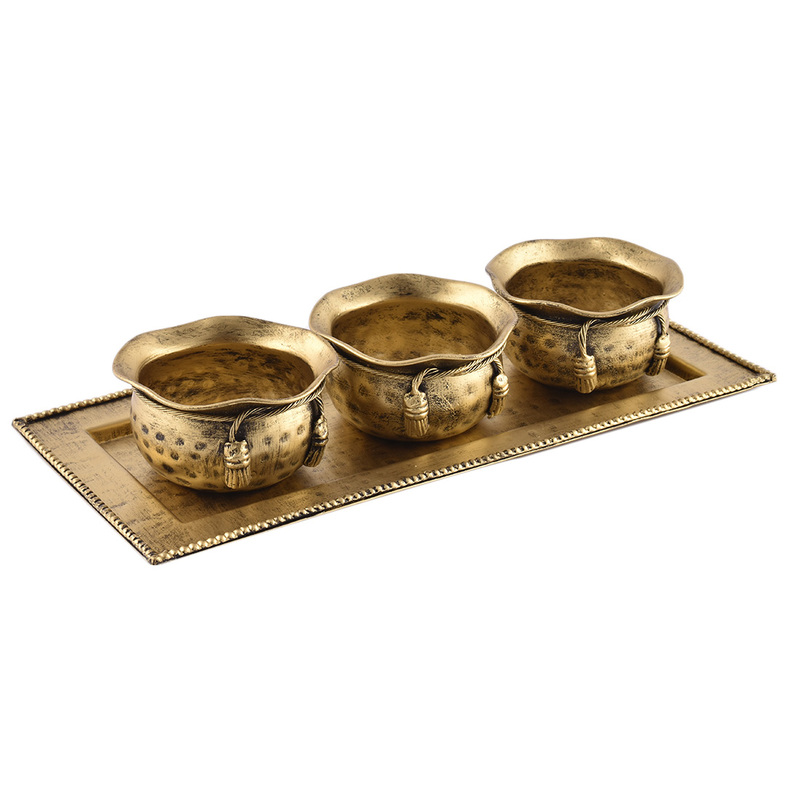 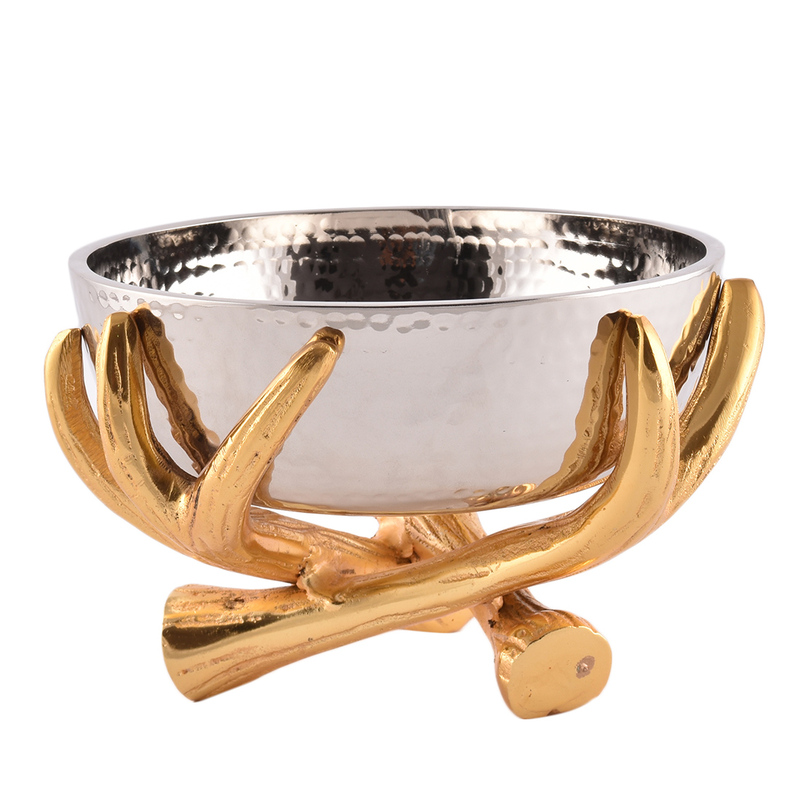 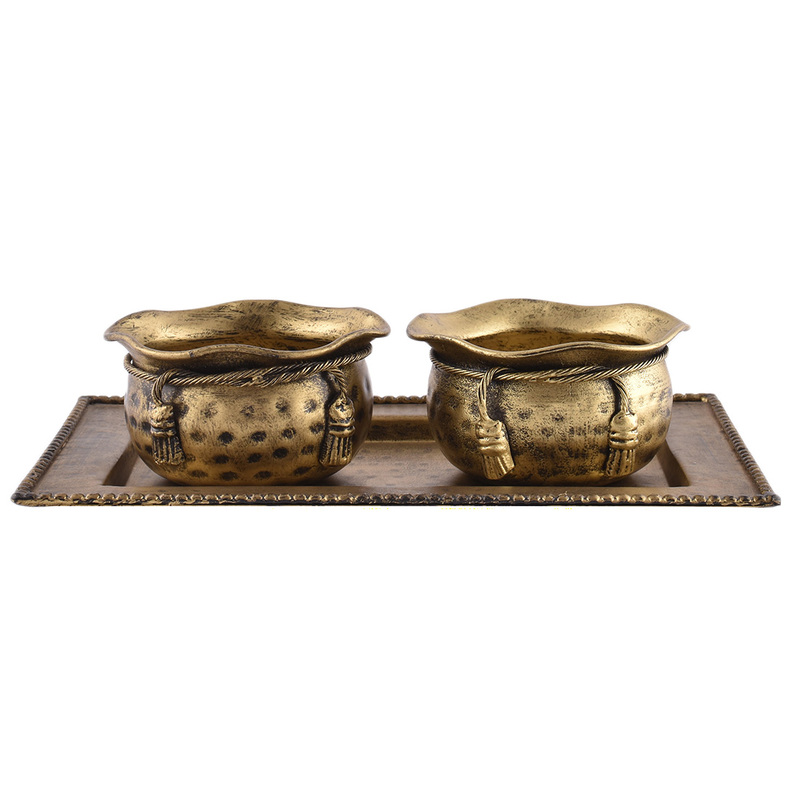 Exclusively hand-crafted metal antique finish tray with three antique metal bowls. 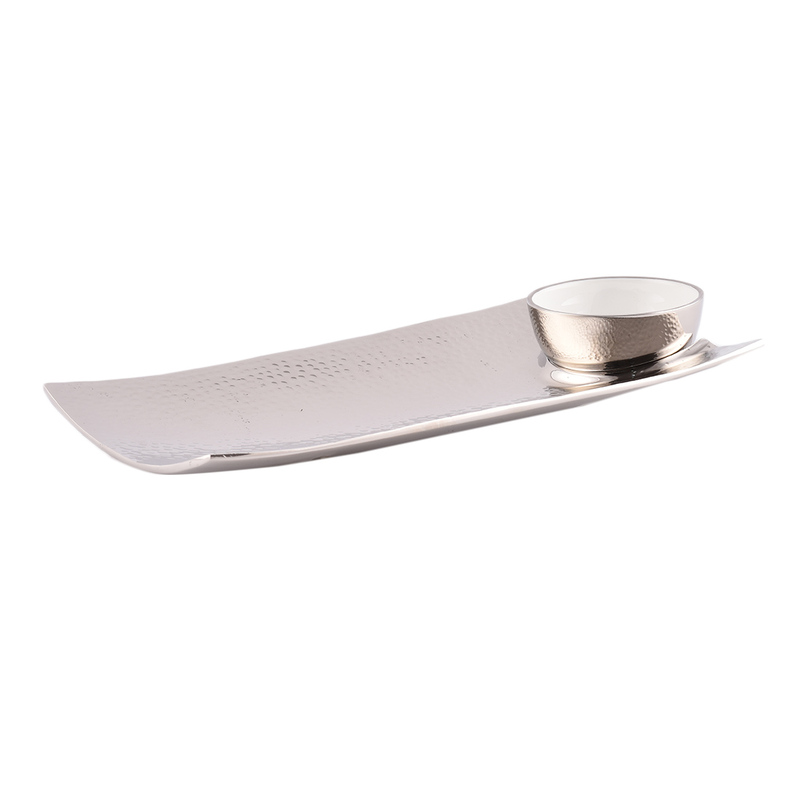 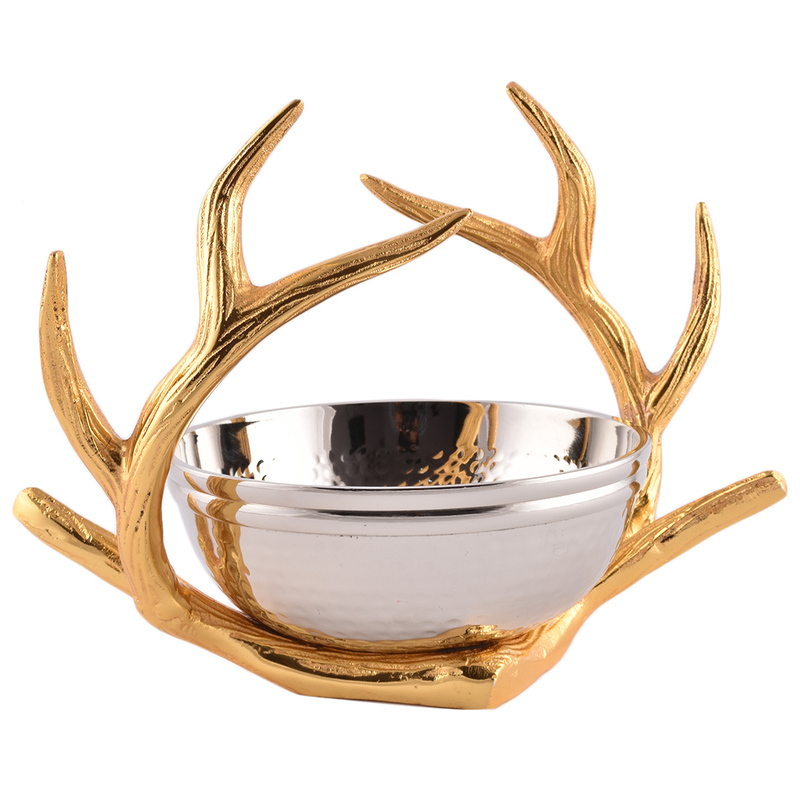 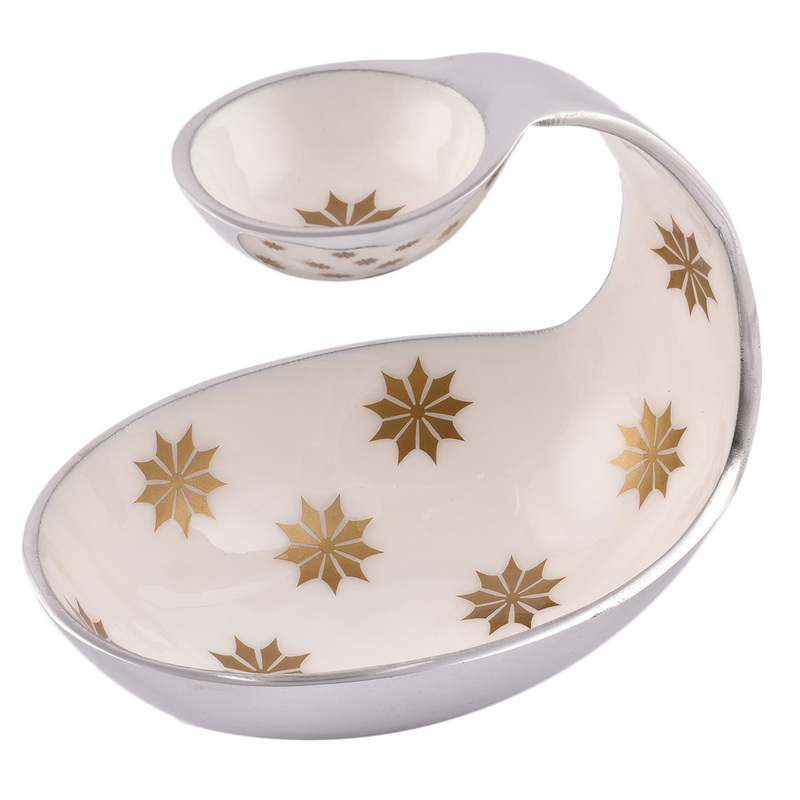 Use this piece of serve ware to serve snacks/ dry fruits to your guests. 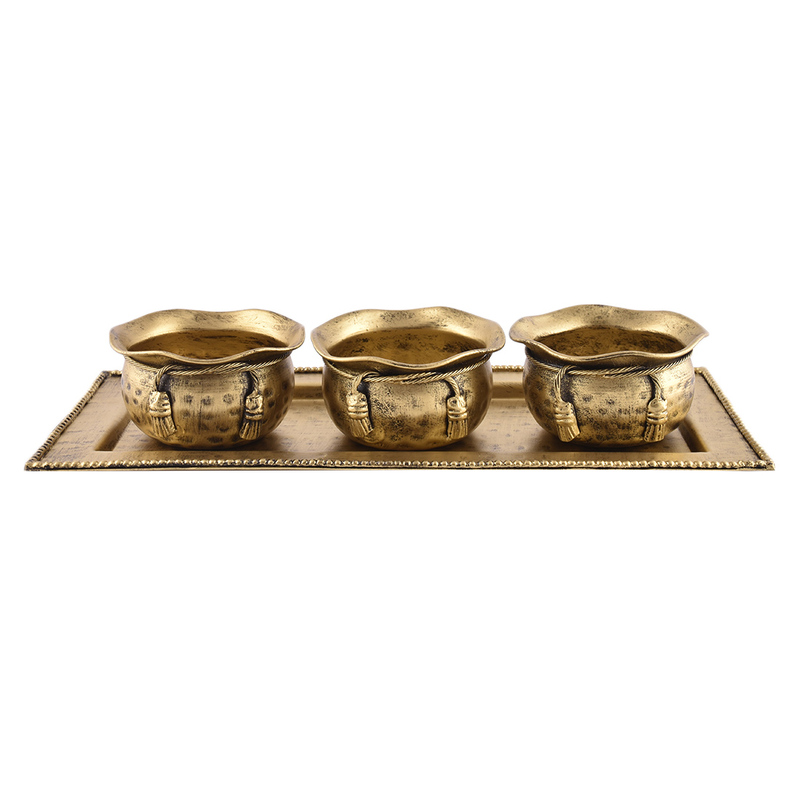 This is an antique finish set of three bowls with antique finish metallic tray that imparts a regal look to your dining area. 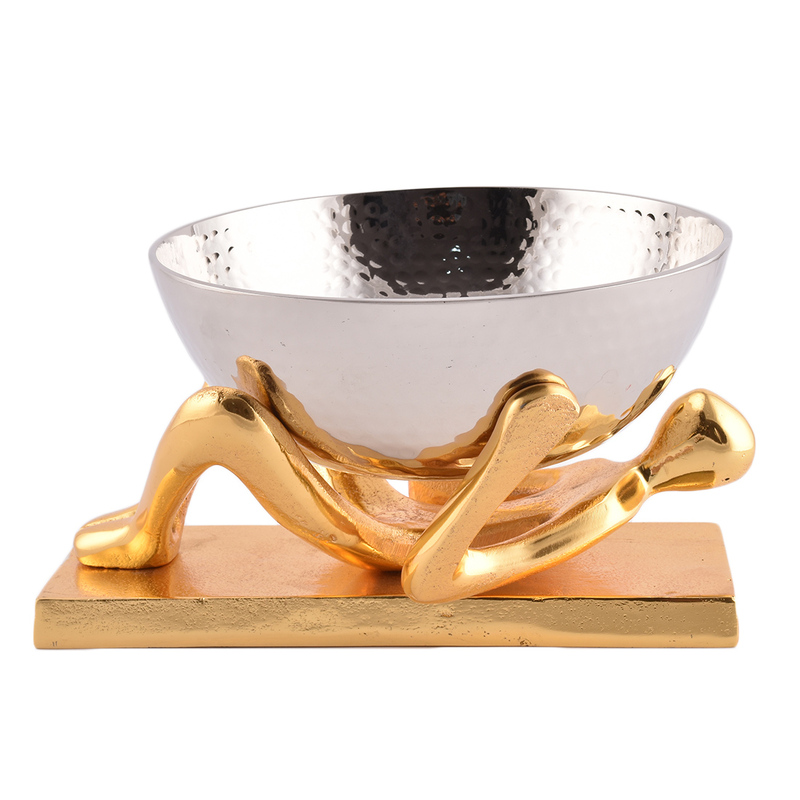 This can also be an ideal gift for your near and dear ones this festive season. 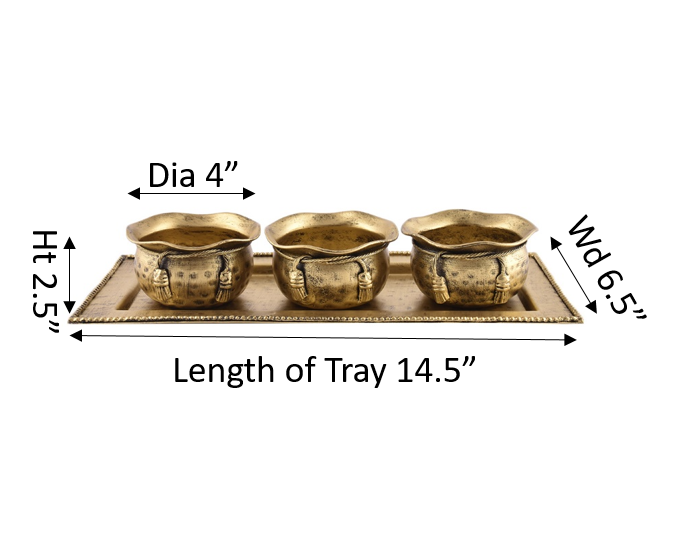 DIAMETER OF METAL SERVING BOWLS - 4.25"
DEPTH OF METAL SERVING BOWLS - 2.5"
WIDTH OF TRAY - 6.5"
LENGTH OF TRAY - 14"